After launching with more than a little fanfare, Windows on ARM notebooks and 2-in-1 devices haven’t taken off. Like Microsoft’s failed Windows RT on ARM experiment, the market hasn’t really warmed to the concept. Even though Windows on ARM devices overcome the biggest failing of Windows RT by supporting x86 apps (with exceptions), to date they have been overpriced and lack performance. The only real advantage Windows on ARM devices offer thus far is extended battery life. That could all be set to change with the introduction of the chip we have come to know as the Snapdragon 1000. New details have emerged courtesy of WinFuture, which also claims that it will ship under Snapdragon 8180 branding. While Apple currently holds the record for the most transistors on an ARM-based chip, racking up 6.9 billion transistors on the new A12 Bionic, the Snapdragon 8180 is said to sport 8.5 billion transistors. This should go a long way to boosting the performance of virtualized x86 apps on Windows on ARM. The extra billion and a half transistors will, however, require a larger 20x15 die, which means it won’t be a fit for mobile devices. 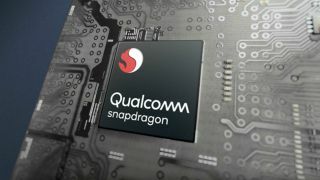 That job will be handed over to the forthcoming Snapdragon 855, which will be made on a more mobile-friendly chipset. The advantage of the larger die for the 8180, which has been designed specifically for PCs, is that it will have a TDP as high as 15W. This should also boost its performance considerably over the Snapdragon 855. If Intel hadn’t been particularly concerned about WoA devices chewing into its bottom line, that could be set to change.